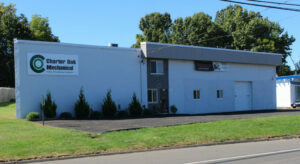 The best heating contractors serving Bolton CT is Charter Oak Mechanical. When you want to dramatically reduce the cost of heating your home this winter, ask the contractors at Charter Oak Mechanical about new energy saving heating and cooling technology. We have saved homeowners up to 60 percent in energy savings after installing an efficient heating and cooling system. Charter Oak Mechanical will evaluate your current heating and cooling system, and help you decide which system will best fit your needs. We always explain all your options so you can make an informed decision. We may find that repair may be a better option than replacement, and we will not pressure you into purchasing any system you do not need. We now offer year-round heating and cooling maintenance so each year it one less thing you need to worry about. We always come prepared with the right equipment to handle most common repair and maintenance issues. Furnace Installation and Furnace Repairs for all makes and models. We have been installing energy efficient units that can really save you money in the long run. Water Boiler Installation and Water Boiler Repairs can offer high efficiency boiler that will help you lower your heating bills. Heat Pumps can keep you warm all winter long. We can install a new heat pump that will be in your budget. We recommend choosing one that has highest SEER and HSPF rating available. Ductless Mini Splits – a great alternative way to heat and cool your home while saving money on energy. At Charter Oak Mechanical we have installed hundreds of these units with fantastic results. We highly recommend Ductless Mini Splits to heat your home. Charter Oak Mechanical is your local Heating Contractor specialist that will install, repair, replace, or maintain your boiler or furnace. We can fix any heating problem so you can finally feel comfortable at your home or business. We are proud of our excellent customer service. For your local reliable heating system contractor, please call Charter Oak Mechanical.